When will a British PM beg forgiveness for Jallianwala Bagh massacre? [Book extract] Britain is no longer 'Thatcherite', though in the aftermath of 'Brexit', it may even be worse. When Willy Brandt was chancellor of Germany, he sank to his knees at the Warsaw Ghetto in 1970 to apologize to Polish Jews for the Holocaust. There were hardly any Jews left in Poland, and Brandt, who as a socialist was persecuted by the Nazis, was completely innocent of the crimes for which he was apologising. But in doing so - with his historic "Kniefall von Warschau" (Warsaw Genuflection), he was recognizing the moral responsibility of the German people, whom he led as chancellor. That is precisely why I called for atonement rather than financial aid. Of course, not everyone agrees that even atonement is due. Historian John Keay put it best: "The conduct of states, as of individuals, can only be assessed by the standards of their age, not by today's litigious criteria. Otherwise, we'd all be down on the government of Italy for feeding Christians to the lions." Amusing, but indefensible. The British Raj is scarcely ancient history. It is part of the memories of people still alive. According to a recent UN Population Division report the number of Indians over the age of eighty is six million: British rule was an inescapable part of their childhoods. If you add to their number, their first-generation descendants, Indians in their fifties and sixties, whose parents would have told them stories about their experiences of the Raj, the numbers with an intimate knowledge of the period would swell to over 100 million Indians. 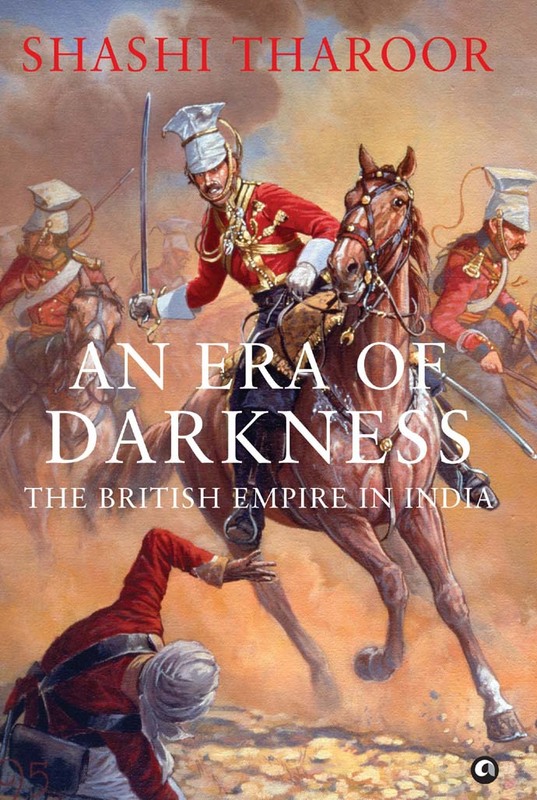 An Era of Darkness: The British Empire in India; Rs 525; Aleph Book Company. It is getting late for atonement, but not too late: I, for one, dearly hope that a British prime minister will find the heart, and the spirit, to get on his or her knees at Jallianwala Bagh in 2019 and beg forgiveness from Indians in the name of his or her people for the unforgivable massacre that was perpetrated at that site a century earlier. David Cameron's rather mealy-mouthed description of the massacre in 2013 as a "deeply shameful event" does not, in my view, constitute an apology. Nor does the ceremonial visit to the site in 1997 by Queen Elizabeth and the Duke of Edinburgh, who merely left their signatures in the visitors' book, without even a redeeming comment. That is what Prime Minister Justin Trudeau did in 2016 when he apologised on behalf of Canada for the actions of his country's authorities a century earlier in denying permission for the Indian immigrants on the Komagata Maru to land in Vancouver, thereby sending many of them to their deaths. Trudeau's Willy Brandt moment needs to find its British echo. Indeed, the best form of atonement by the British might be, as Labour leader Jeremy Corbyn has suggested, to start teaching unromanticised colonial history in British schools. The British public is woefully ignorant of the realities of the British empire, and what it meant to its subject peoples. These days there appears to be a return in England to yearning for the Raj: the success of the television series Indian Summers, building upon earlier Anglonostalgic productions like The Far Pavilions and The Jewel in the Crown, epitomize what the British-domiciled Dutch writer Ian Buruma saw as an attempt to remind the English "of their collective dreams of Englishness, so glorious, so poignant, so bittersweet in the resentful seediness of contemporary little England". If British schoolchildren can learn how those dreams of the English turned out to be nightmares for their subject peoples, true atonement - of the purely moral kind, involving a serious consideration of historical responsibility rather than mere admission of guilt - might be achieved. Buruma was, of course, echoing what the Indian-born British writer Salman Rushdie had said a few years earlier: "The continuing decline, the growing poverty and the meanness of spirit of much of Thatcherite Britain encourages many Britons to turn their eyes nostalgically to the lost hour of their precedence. The recrudescence of imperialist ideology and the popularity of Raj fictions put one in mind of the phantom twitchings of an amputated limb… The jewel in the crown is made, these days, of paste." Britain is no longer "Thatcherite", though in the aftermath of "Brexit", it may even be worse. The need to temper British imperial nostalgia with postcolonial responsibility has never been greater. MP for Thiruvananthapuram. Author of 14 books. Former Minister of State,Govt.of India. Former Under Secretary General, UnitedNations.